Personalised iPhone 7/7 Plus Faux Leather case. 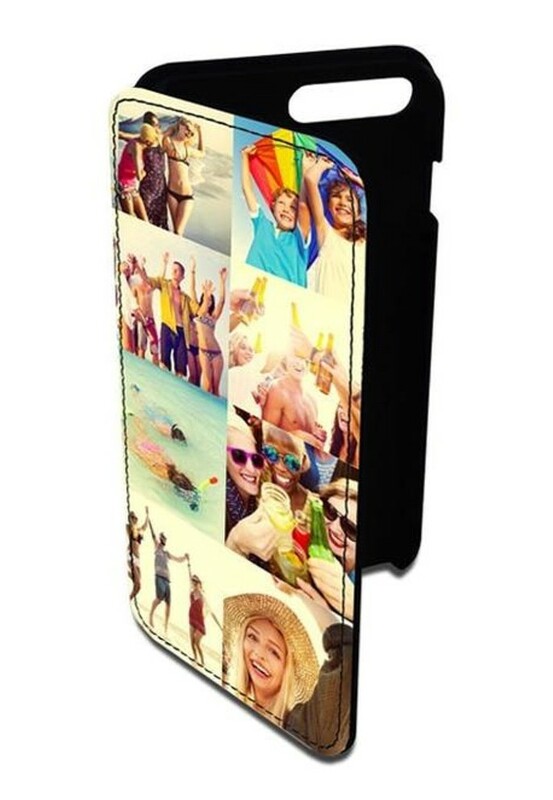 Personalise this unique case with your amazing photos and images and even add text at no extra charge! Will be a perfect unique gift that no-one else will have - a must have gift! This new beautiful faux leather case is available for the iPhone 7 and 7 Plus. Your image is heated onto the front of the flip case and it has slots for credit cards too.